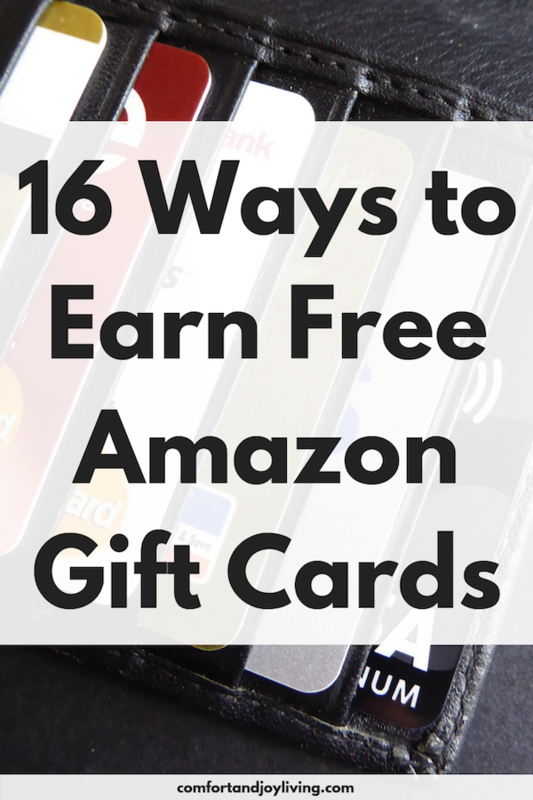 Believe it or not, there are many simple ways that you can earn FREE Amazon gift cards! It’s true and the ways that you can get them are honest, proven and all work. You can use these cards to purchase every day items that you need, such as laundry detergent, shampoo, or even diapers. You can also use them to get free gifts for birthdays, anniversaries and even Christmas. While it may sound too good to be true, these sites allow you to accrue points or money, which you can then turn into Amazon gift cards. By using these sites regularly, you can build up a good amount of gift cards each year. Survey is one of the popular survey sites, mostly because of their decent payout rate and their reliability. They always pay out and pay out on time. You need a minimum of $10 to cash out for Amazon gift cards. Swagbucks rewards you by giving you points for online searches, shopping, taking surveys, watching videos, and more. The points can be redeemed for various prizes, one of which is Amazon gift cards. Pinecone Research is one of the most well-respected survey companies around. They have household surveys and pay a few dollars per survey, but they pay out on a regular basis. Prize Rebel allows you to earn points to complete surveys as well as watch videos, redeem offers and more. You can take the rewards as cash or opt for gift cards from places like Amazon. For Android and iOS users, Gift Wallet lets you earn points for testing apps. You can also earn points for watching videos and other easy online tasks. You can redeem your rewards coins for PayPal cash or gift cards from sites such as Amazon. You can earn points to save for an Amazon gift card by print coupons on MyPoints. And you’ll get even more points when you use the coupons in stores. Not only will you earn points toward an Amazon gift card, but you’ll also enjoy the savings from using those coupons on things that you would normally buy anyway. Shopkick is an app that pays you for shopping. You can earn points (or kicks as they’re referred to) by doing a wide array of tasks such as making purchases, scan select products, referring friends, walking into stores, and more. Redeem these kicks for gift cards from a variety of retailers like Amazon. Coinstar is a classic option to get cash for your coins. But you can also trade our coins for gift cards from retailers, including Amazon. An additional perk is that if you convert your change into Amazon gift cards, there is no service charge. TopCashBack is a rebate site. When you shop online, you do so via their links. They then deposit money into your account for every purchase. They even have a lucrative refer-a-friend program that earns you $10 when your friend spends their firt $10 through the site. When you’re ready to cash out, your rebate is increased by 3% which is turned into an Amazon gift card. Another great survey site is Harris Poll Online. As you complete surveys, you earn points. You can cash your points in for prize such as free Amazon gift cards. They sometime have limits on sign-ups, so if you can’t get in right now, try back again in a week or two. 11. Submit your receipt to Ibotta. This is my go-to app for great savings. Before you go shopping, you can find various rebates offered by Ibotta. The more activities you complete, the higher the refund. Then, submit a snapshot of your receipt and you’ll get the rebate deposited into your account. When you reach your $20 threshold, you can cash out and convert your rebate into an Amazon gift card. Inbox Dollars rewards you with points when you complete surveys, shop online, and play games. Best of all, you’ll score a free $5 when you sign up. Viggle is an app that you use when you watch tv shows or even live streaming from various providers. You earn points for watching and cash those in for gift cards—including Amazon. This works in the same fashion as Ibotta—mentioned above. You can also get cash back on items that you purchase. Just upload a copy of your receipt to receive bonuses. If you have books, movies or games that you no longer want, you can trade them into Amazon to receive free gift cards. With Amazon Mechanical Turk, you can do easy jobs, like data entry and transcribing, to either earn cash or Amazon gift cards. While you won’t get rich from the tasks, if you don’t mind putting in some time to earn enough for gift cards, it may be a good fit for you. What tips do you have to earn free Amazon gift cards?